Jo Bradford is a master of the camera-less photograph. Her works could be described as ‘photographs of photography’ with her working method becoming the embodiment of the final artwork, and the photographic means: the subject.By working only with light, paper and the analogue process itself, the resulting works could be said to be ‘portraits of photography itself’, or a kind of self-portrait of the photographic medium. The inspiration for Bradford’s recent acclaimed series, Autogenesis, was Josef Albers’ seminal book, Interaction of Colour, first published in the 1960s and to this day widely regarded as a masterwork and teaching aid for artists, instructors, and students. Albers’s singular explanation of complex colour theory principles was first published as a limited silkscreen edition which included 150 colour plates, later edited down to ten colour studies selected by Albers. Jo Bradford’s acclaimed 2016 work, Autogenesis, echoes this work of Albers. Autogenesis consists of 15 limited edition photographic prints, each created from original luminograms, which are images created by exposing photosensitive materials to light without the intervention of an object – or camera. Bradford’s working method of painstakingly – and blindly – tracing light onto light-sensitive paper in a pitch-black darkroom, while employing masking methods to allow varying degrees of saturation and exposure to take hold, allows the capturing on paper of varied and pure colour, created through the refraction of white-light into the colours of the rainbow. These detailed working methods produce in essence a kind of pure photography – not representational of the external physical world, but acutely resonant of something entirely more abstract and possibly internal – one could argue they are like the photographic equivalent of Rothko paintings – whatever the resonance, there is a subversion, or inversion of the photographic process as it’s commonly known. 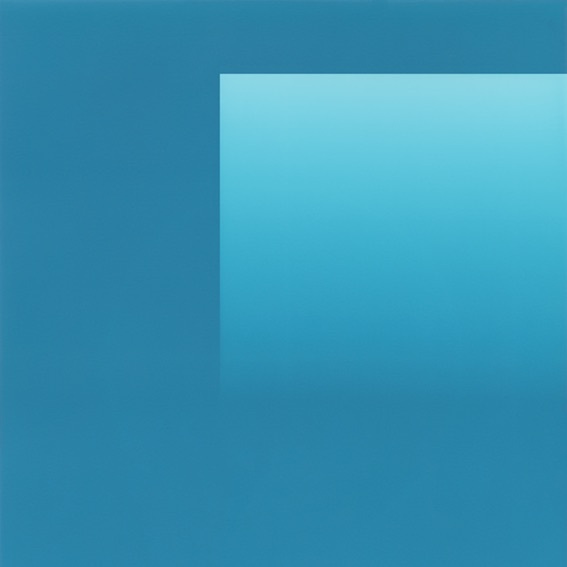 Jo Bradford was born in Hertfordshire, UK, and raised in South Africa and she has worked with cameraless photographic mediums such as luminograms and photograms in her colour darkroom on Dartmoor, Devon, UK for over a decade. She received her Master’s in Photography: Critical Practice from University College Falmouth in 2004 and since then has exhibited regularly and widely. She has works in many public and private collections. All proceeds from the sale of this edition go to Redeye, the Photography Network, Manchester, in support of the next generation of photography talent.